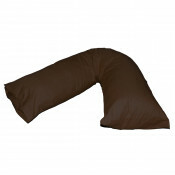 Switch to comfortable and modish Pillow cases. Pillow cases are the vital tools for adding a spark to one’s bedroom. 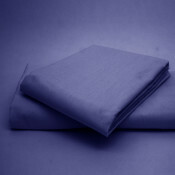 Sleeping on a comfortable pillow cases is the most splendid way for most of us to spend their valuable hours of sleep. So, if you are searching for something that grants you both style and comfort, and can add charm to your bed too, then try investing in some good quality fashionable pillow cases. Using high quality pillow cases not only enhances the beauty of your room but also keeps you healthy and in a good mood too. Pillow cases are the cool way to give your bed a refine look. But before you indulge in buying a perfect pillow cases, consider the kind and quality of fabrics used. 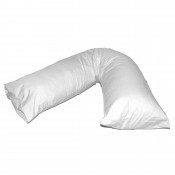 This is because your face and head comes in direct contact with your pillow cases. Small creases on your face due to poor quality pillow cases can sooner or later cause a permanent skin wrinkle and acne can damage your skin too. Various lavish fabrics used are Cotton, poly cotton, Egyptian cotton, Flannelette, Polyester, Sateen, Satin and silk. Select the right fabric by keeping in mind the background of your room, weather and use. Satin pillow cases are marvellous and go fantastically fine with traditional decorating styles but are elusive and need to be maintained. Silk pillow cases are stunning and add grace to your bedroom. 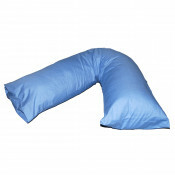 They are also useful for allergic prone sleepers. Cotton pillow cases are awesome for summers due to its light weight and breathable property. So, choose the right fabric and add eminence and luxury to your sleep. These pillow cases add colour to your dull looking bed and give them a fresh look. Today, pillow cases are available in ample of colours, designs and exciting patterns and can easily blend with the decor of your interior. From plain to contrasting colours, and different patterns like floral, stripped, checked, and Gingham, they are available in almost all sizes. House wife, Oxford, square, V-shaped, super king, bolster and king are various sizes available for the cases that perfectly fits your pillow. 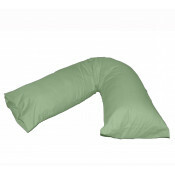 Pillow cases are the fun way to refurbish your bedroom. These pillow cases being removable makes laundering easier and grant you ample of options to be creative with your interior. You can easily mix and match different colours, patterns and textures and give your room an antique look. Now, give whimsical touch to your room by shopping at www.beddingmill.co.uk and that too at exceptionally affordable price.